Join us to hear from internationally recognised industry experts on the principles and application of engineering large scale retaining wall structures. Join us to hear from internationally recognised industry experts on the principles and application of engineering large scale retaining wall structures. This seminar will take an in depth look at geotechnical principles and applications in variable challenges and designs. Dr Chris Haberfield a Principal Geotechnical Engineer, our keynote speaker is internationally recognised for his work on foundation structure interaction, especially in respect to tall buildings, including geotechnical lead for the 1.2km tall Nakheel tower in Dubai, will share global and local case studies outlining the principals of geotechnical engineering, mitigating risk and examples of engineering failures. Our other speakers will discuss the application of geotechnical engineering with examples of how retaining wall design elements have evolved and new products offering preferred options with the potential to reduce costs, mitigate risk and improve safety and environmental outcomes. Dr Chris Haberfield is a Principal Geotechnical Engineer with Golder Associates Pty Ltd. He is internationally recognised for his work on foundation structure interaction and soft, weak and weathered rock and in particular the analysis, design, laboratory and field testing, construction techniques and response of engineering works (e.g. foundations) in these materials. Chris brings high level engineering skills and technical knowledge and a practical approach which have been developed through 20 years of research and teaching and high level consulting to industry as an academic followed by 17 years as a consultant solving high level technical issues for a wide variety of projects. Some examples include review and value engineering for Melbourne Metro stations, the new Gateway Bridge tender design and North-South Bypass tunnel in Brisbane. Chris has published over 140 refereed papers many of them dealing with ground structure interaction problems, pile performance, retaining walls and analysis of such problems. Chris has been awarded the 2005 Victor Milligan Award, the 2007 EH Davis Memorial Lecture, the 2009 Jack Morgan Award and the 2nd Gregory Tschebotarioff Lecture (2017). Brad studied civil engineering at the UNSW, then postgraduate “Masters of Engineering Science” majoring in geotechnical engineering with major thesis entitled “Reinforced Earth Embankment & Foundation Interaction”. He worked for The Reinforced Earth Company for a period of 4 ½ years, followed by Maccaferri Pty Ltd for a further 5 years. He spent a small period working for Ten Cate Nicolon Australia then started and is still operating Retaining Solutions Design Construct Pty Ltd for the last 15 years. During his career to date he has gained valuable experience in geotechnical and structural design of gravity, segmental walls and reinforced soil structures for both commercial, highway and mining sectors utilising both AS4678 and RMS R57 and R58 specifications. “No matter what type of retaining wall there is – they all have their own inherent characteristics and specific application”. Chris has 20 years of experience covering the geotechnical design of various types of deep and shallow foundations, ground improvement, retaining walls and slope stabilisation works for both static and seismic loadings. His recent project works include proof engineering for multiple Reinforced Earth walls up to 15m high, design of 23m deep fill embankments and he is currently working on the design of deep station boxes, ground movement prediction and damage assessments for the Melbourne Metro project. Chris has been involved in all stages of project works from investigations and detailed design through to construction inspections and high level project coordination. He brings a combination of strong technical skills, clear communication and onsite construction experience to all his projects. 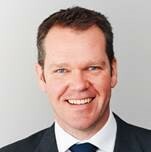 Chris has several years of international experience including working in the UK, New Zealand and the Gulf regions.